One problem frequently encountered in high-power laser systems is thermal extrinsic damage to the laser materials, which arises from absorbing inclusions. In this paper the maximum tensile stresses as a function of inclusion size, laser pulse width, and laser power are estimated for the common precipitates in CdTe. a The volume compressibility for polycrystalline Te is χc. 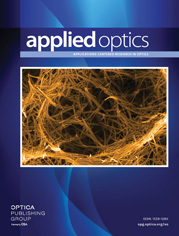 a C. S. Sahagian and C. A. Pitha, Compendium on High Power Infrared Laser Window Materials, U.S.A.F. Cambridge Research Laboratory Special Report 135, 9 March 1972.
b The quantities ρ, c, K, and α are, respectively, the density, the specific heat at constant volume, the thermal conductivity, and the linear thermal expansion coefficient. The latter for Te is given by the relation α = αc = (2/3)α1 + (1/3)α3.